Over the past 45 years, East West Communities has received national acclaim for developing the Best Community in America for three (3) different communities. 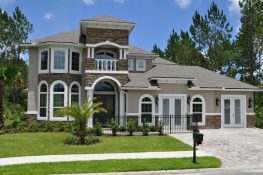 Every year the National Association of Home Builders and the Urban Land Institute assemble panels of expert judges and select new planned housing developments somewhere in the United States that they judge to be the best. The criteria includes diversity of housing, sales success, environmental sensitivity, infrastructure, and more. No other developer in the country has EVER won three “Best Communities in America” awards! The award-winning communities include Hallsley, Woodlake, and Brandermill. These three East West communities are located in Midlothian, Virginia – a suburb of Richmond with a population of around 60,000. The same company developed them all but they are all different. Each award-winning in their own rights. Since 1973, East West Communities has developed 25 award-winning communities that are home to more than 20,000 families. The 45-year old success story started when the original partners were a group of young real estate professionals working for one of the nation’s premier resort developers, Sea Pines Company on Hilton Head Island. The company purchased land in Chesterfield County, near Richmond, Virginia, with unprecedented plans of building a community that would offer a vacation lifestyle for everyday living. The first community, Brandermill, became home to 4,400 families and was named the “Best Planned Community in America” in 1977 by Better Homes and Gardens Magazine and the National Association of Homebuilders. The second community, Woodlake, also near Richmond, was chosen “Best Community in America” by the 14,000 members of Urban Land Institute in 1990. And now, Hallsley, one of the most recent additions to East West Communities, was chosen the national platinum award winner for the 2017 Best Master Planned Community by the National Association of Home Builders Best In American Living (BALA). Hallsley will be home to about 800 families at completion. The company is nationally known for innovative land planning, an unwavering commitment to the environment, and communities offering year-round, resort-style living.